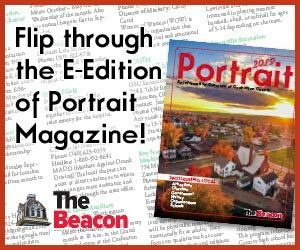 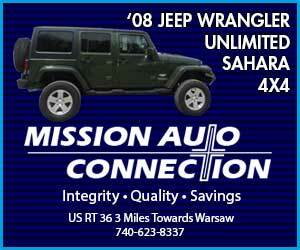 COSHOCTON – According to Kirby Hasseman, Chuck Hathaway is a builder in more ways than one. 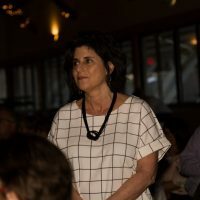 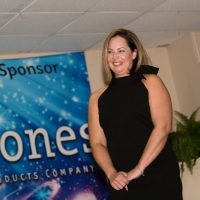 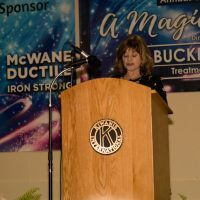 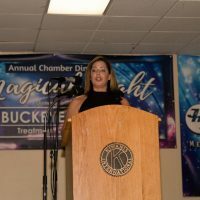 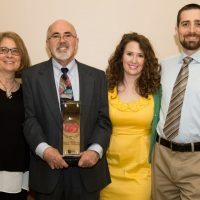 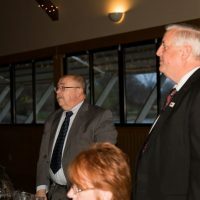 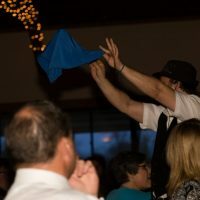 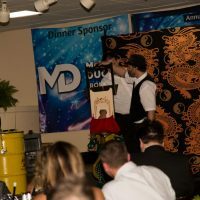 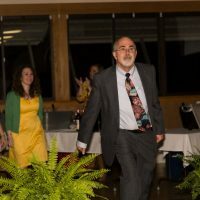 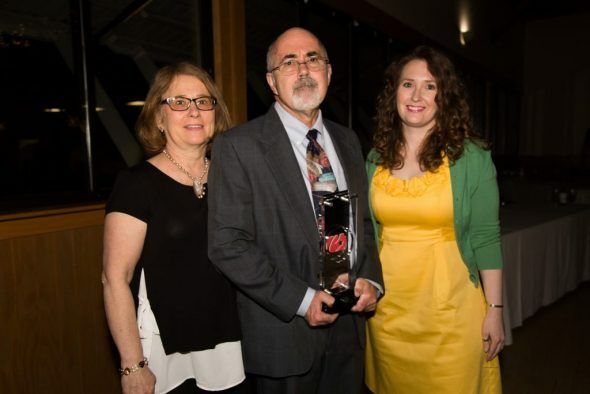 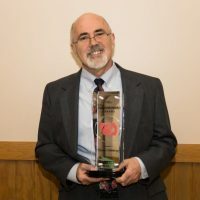 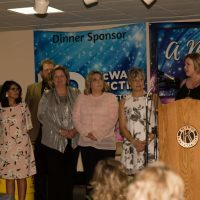 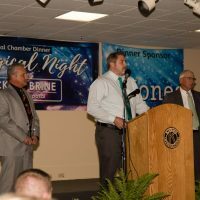 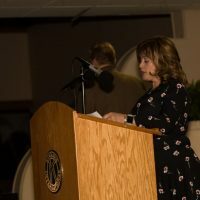 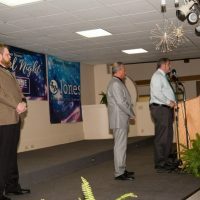 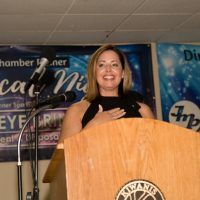 Hasseman had the pleasure of delivering the speech naming Hathaway the recipient of the 2019 Coshoctonian award, which was presented to him at the Coshocton County Chamber of Commerce Dinner held April 12 at Lake Park Pavilion. 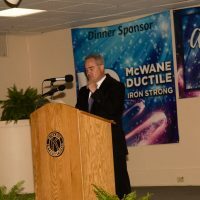 He shared that through Hathaway Inc., Chuck hasn’t just built buildings. 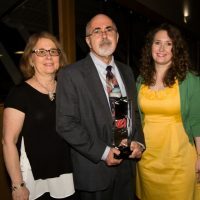 He built a team culture where men can grow and thrive and support their families. 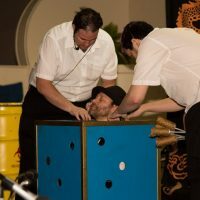 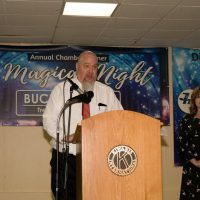 Chuck also has been involved with the arts for most of his adult life by being active with the Johnson-Humrickhouse Museum, the Pomerene Center for the Arts, and with the Footlight Players at the Triple Locks Theater. 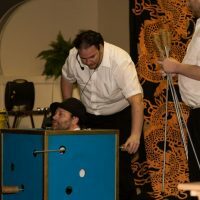 He has been in 23 productions at the theater and served in numerous other roles including set construction. 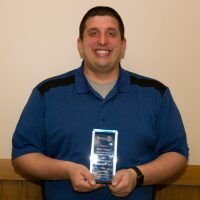 Chuck also has been active with the Boys Scouts and United Way. 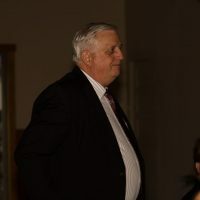 “Not only is he a builder of buildings, but he is a builder of youth, arts and the community,” Hasseman said. 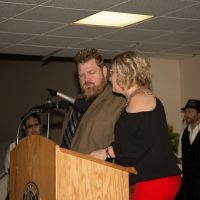 Hathaway was very humbled by the award. 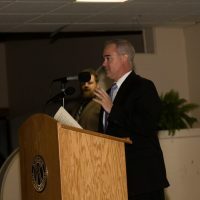 Chuck also thanked all the people who work for him. 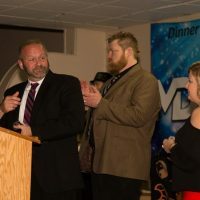 Chuck added that he has a lot of respect for the people who nominated him. 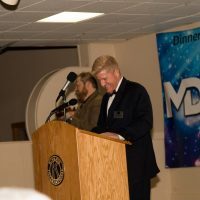 Several others also were honored at the dinner including Mike Bechtol and Seth Dotson. 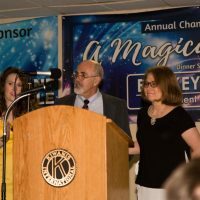 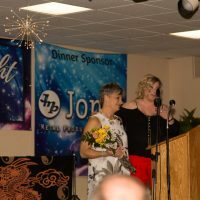 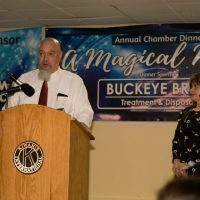 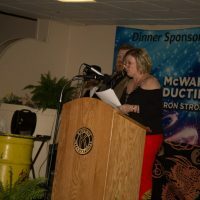 They both received employee of the year awards, which are sponsored by the Coshocton Rotary Club and were handed out by Rotary President Shelly Lillibridge. 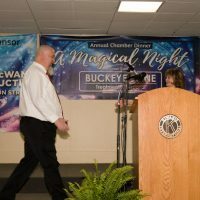 Bechtol, who works for WTNS Radio, was nominated for his professionalism and ability to communicate with others. 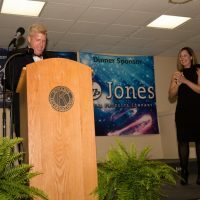 His nominators also complimented him for his ability to keep the radio station’s talk show lighthearted and to cut off gossip. 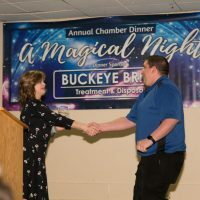 Dotson, who works in information technology at Coshocton Regional Medical Center, was honored for his kindness and respect and understanding how important his role is to proper patient care. 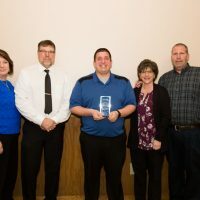 When he’s not working at the hospital, he is actively involved with the senior fair board and with the FFA program at Ridgewood High School. 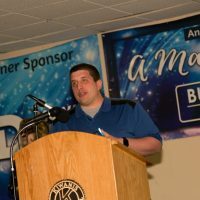 Dotson even saves his vacation time so he can work every day at the fair. 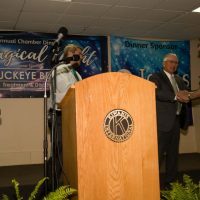 Coshocton County Commissioner Curtis Lee presented the first responder of the year award on behalf of the board of commissioners. 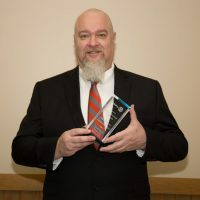 The 2019 first responder of the year award went to Royce Emerson from the Coshocton County Sheriff’s Office auxiliary department. 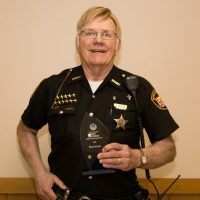 Emerson has served 60 continuous years in law enforcement. 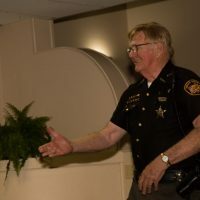 Lee said to their knowledge no one else in the state of Ohio has done that and only one other person in the United States has more years with someone in Texas serving 70. 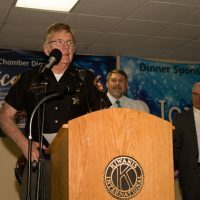 “He (Royce) answers the call day or night and does an excellent job of representing Coshocton County,” Lee said. 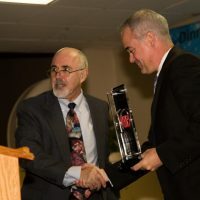 The honor was very much appreciated by Emerson. 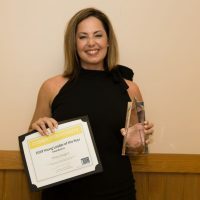 Tiffany Swigert was the recipient of the young leader of the year award sponsored by COTC. 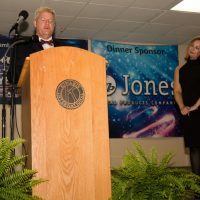 “She leads by example and sets her ego aside for the mission’s success,” said John M. Berry Ph.D., COTC President. 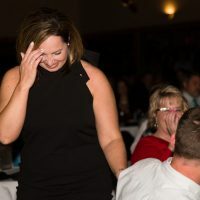 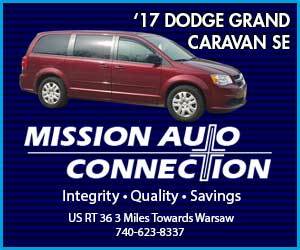 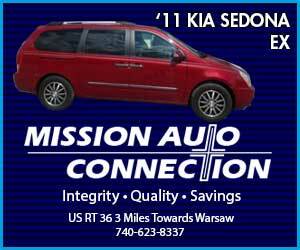 In addition to serving as Executive Director of the Coshocton Port Authority, Swigert also is involved with Coshocton High School athletics and active with her church. 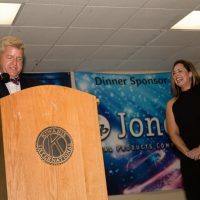 Mike Finton from the chamber’s executive committee wrapped up the evening by thanking Chamber Executive Director Amy Stockdale for all she does.